Erica Bunker | DIY Style! 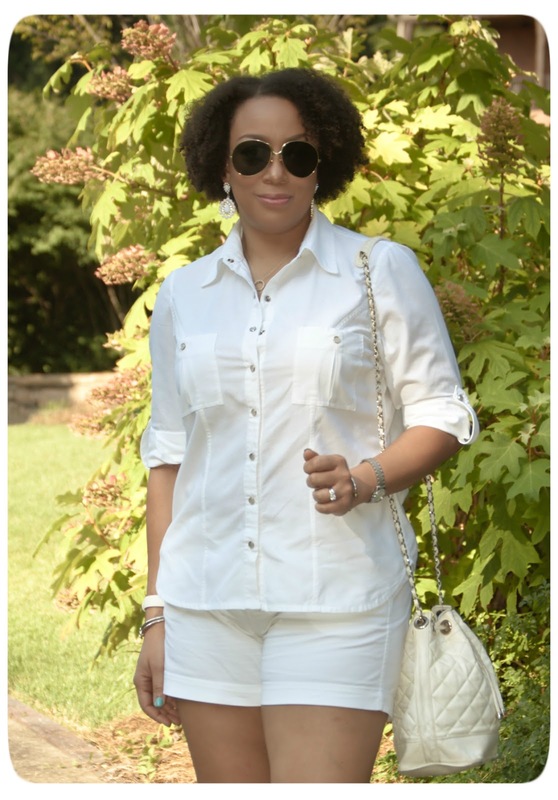 The Art of Cultivating a Stylish Wardrobe: What I'm Wearing | All-White Everything! 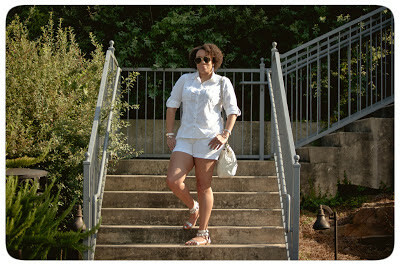 What I'm Wearing | All-White Everything! Well, it's "officially" summer! And what better to wear when it's summer than an all-white ensemble! Even though I love to wear white year-round, a crisp, bright-white head-to-toe look just really really pops when the mercury rises. And one of my favorite pieces in that outfit is a great white shirt. Even in the summertime, a button down shirt can be fabulously pair with shorts, skirts and summer pants. Wearing: shirt: Butterick 5526; shorts: Old Navy; shoes: Shoedazzle.com; purse: vintage Chanel. I do like how you used the princess seams and still put on the pockets. Very nice! Lovely look! I love the all white theme. Your bag is so cute :) Again, I love your outfit! The shirt is tops, hard to tell you made it. You are quite the seamstress/tailor. Great look on you. I love that bag! The whole outfit looks very comfy/cool. 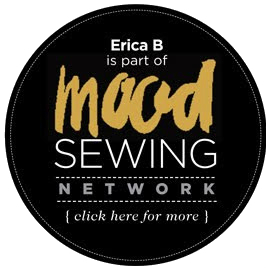 Hi Erica, I've been reading your blog for a while now and I find you inspirational! I was wondering, do you work on one garment at a time or do you have several that you work on at the same time? I'm completely monogamous! Thanks Rhonda! Google Reader | Closed for Business! What I'm Wearing | Romping Around! What I'm Wearing | Draped-Cowl Back Dress! 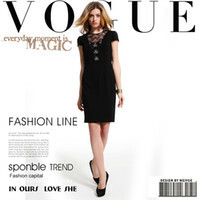 Review: Vogue 8900 | The Cutout Dress! 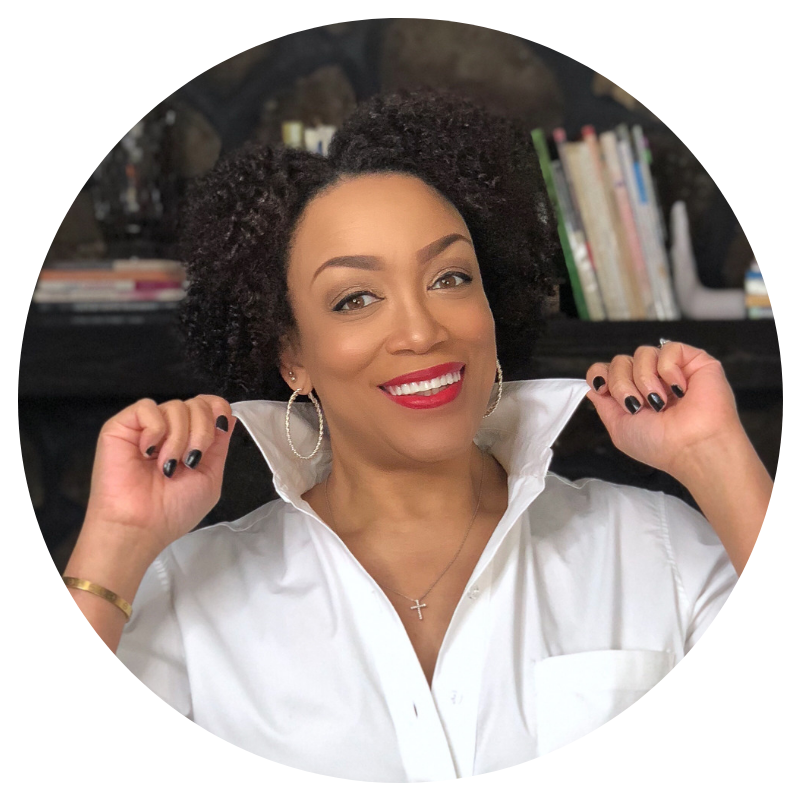 Review: Vogue 8903 | The Silk Shirt Dress!